Cash, Cheque, Interac, Visa & MasterCard accepted. 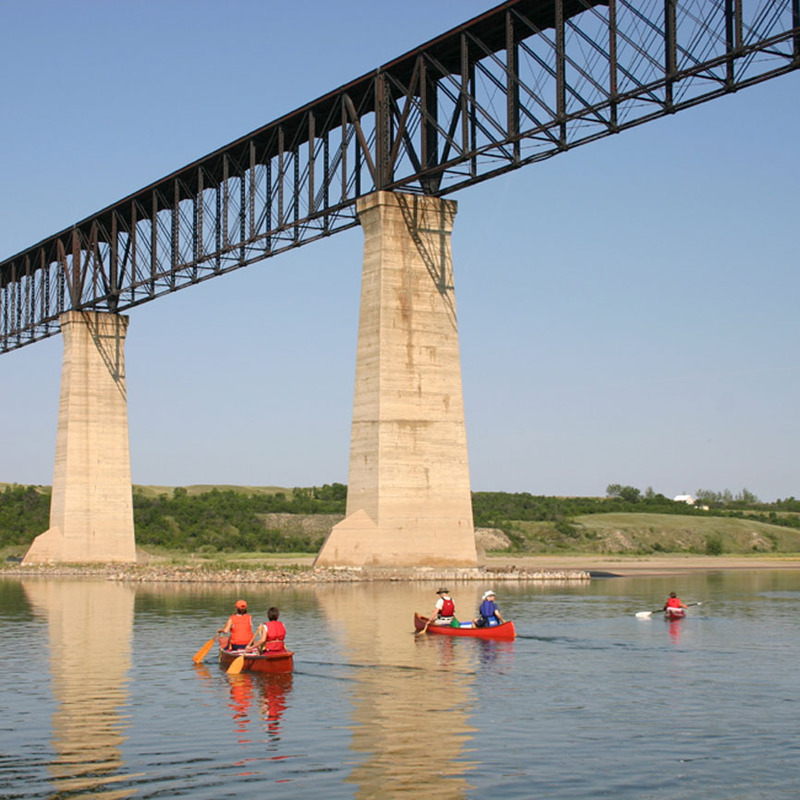 Framed by the picturesque traffic bridge on the south and the Sky Trail walking bridge (CURRENTLY CLOSED) on the north, the panoramic view of the South Saskatchewan River is the setting for the Outlook & District Regional Park. Located adjacent to the Town of Outlook, this 100 acre park is able to satisfy the recreational needs of the entire family. 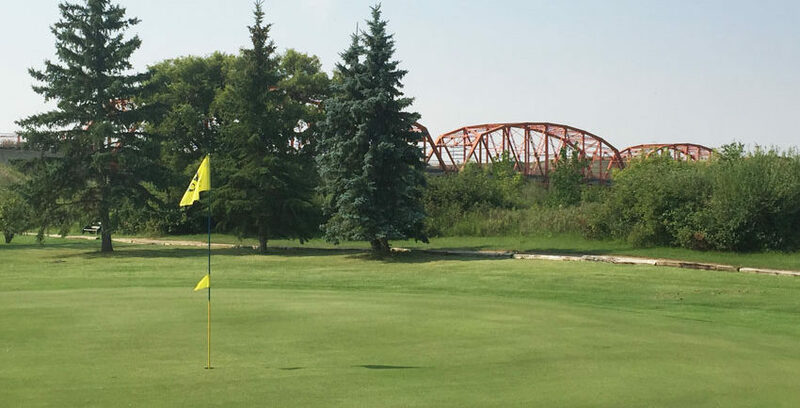 The natural beauty of the park, the spacious campsites and the mature golf course make this park a popular spot for family reunions, a weekend getaway or an extended stay. Visit our website to see what the park and town have to offer. The Town of Outlook has a variety of shopping experiences, worship services, banking, repair services, motels, variety of restaurants, gas stations, medical services, and hospital. There is a laundromat close to the park as well as a rental store. A Farmer's Market is held downtown every Friday and a market garden is open Tuesday to Saturday. The RecPlex offers a skating arena, four sheet curling rink, bowling alley, as well as ball diamonds. You can also be entertained at the library, movie theater, or the Kinsmen Park with a supervised playground program during July and August. Town maps are available at the park entry booth. The park was established in 1922 with the swimming pool(closed) being built as the second swimming pool(closed) in Saskatchewan. The area had been a recreational site since World War I. 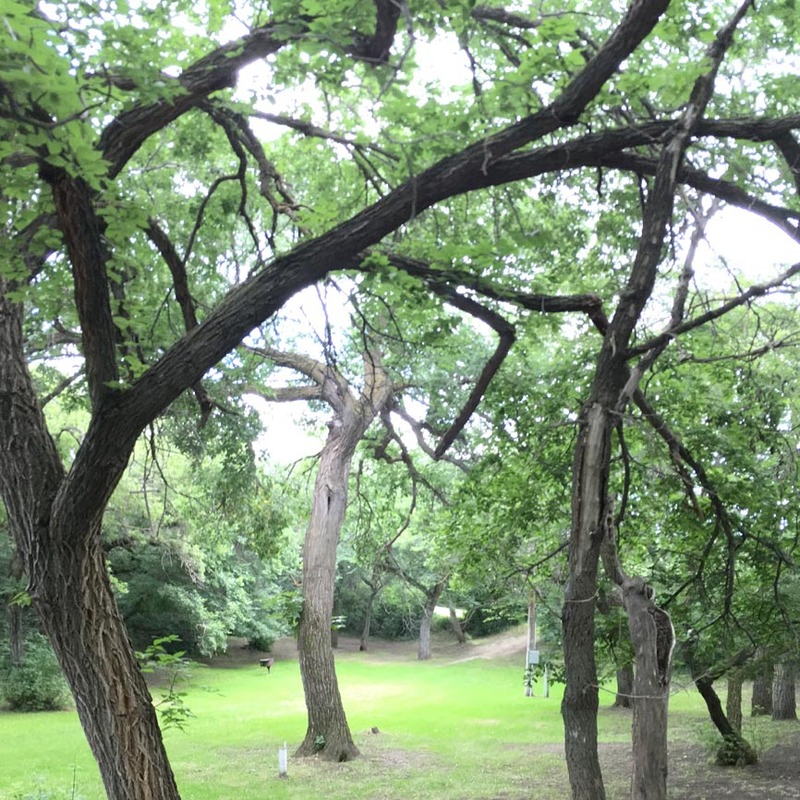 The natural terrain of the park along the east bank of the South Saskatchewan River includes some of the oldest stands of elm trees, confirmed by the Canadian Forestry Service to be over 150 years old. The 100 acre site became a regional park in 1961. 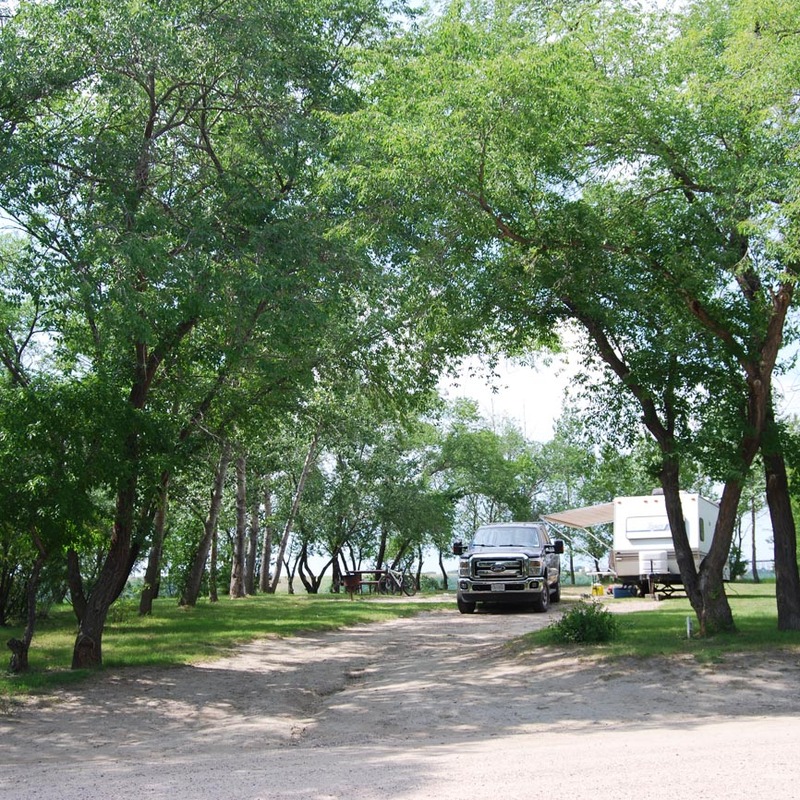 Campsites and a large picnic area are situated around the elm trees. 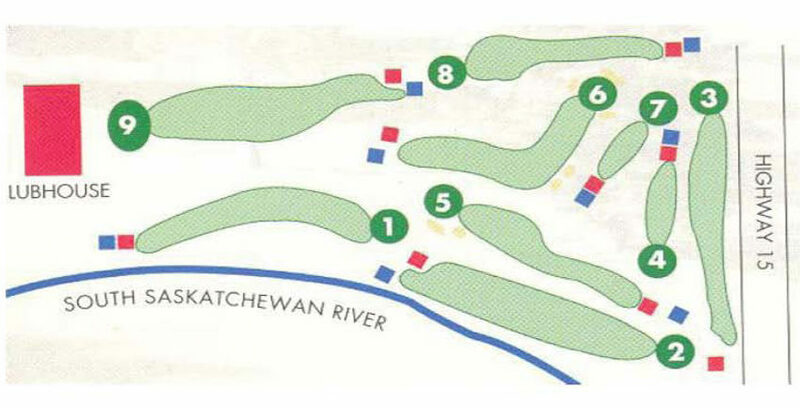 In 1971 a nine-hole golf course was constructed along the scenic east bank of the South Saskatchewan River. In 1984, 26 new electrical campsites were added with a washroom/shower facility. 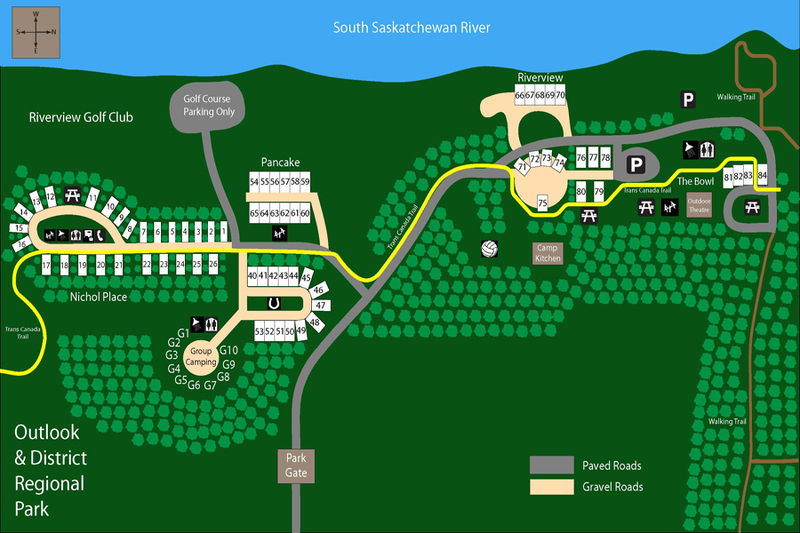 In 2000, 13 new 30 amp & water campsites, group camping and a washroom/shower facility were added to the park. In 2009, 19 new 30 amp & water campsites were created. In 2011 there were 13 new 30 amp & water campsites added to the park. In 2017, after closing the swimming pool, the change rooms were renovated and provided the North end of the park with a new washroom/shower facility. Persons camping in the park must be 19 years of age or older unless accompanied by a parent or guardian. Watercraft such as jet skis are not permitted through park gates. Please note that fees are subject to change. Pets must be on a leash at all times when in the park. No outside firewood is permitted in the park. Golf cart use is only permitted for: Campers going golfing must take the most direct route to and from the golf course. Campers with low mobility may use their golf cart to travel to the washroom/shower facilities only if they have a valid handicap placard and they must take the most direct path from their campsite to the washroom/shower facilities and back. 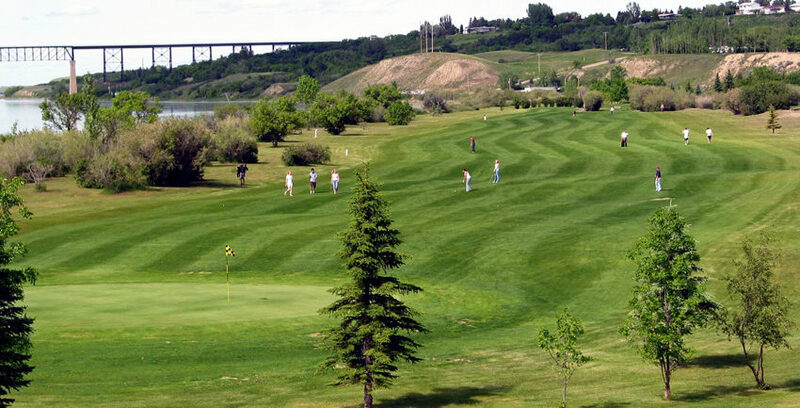 Riverview Golf Club is located within the boundaries of the Outlook & District Regional Park. All vehicles entering the park must have a valid pass on their vehicle. 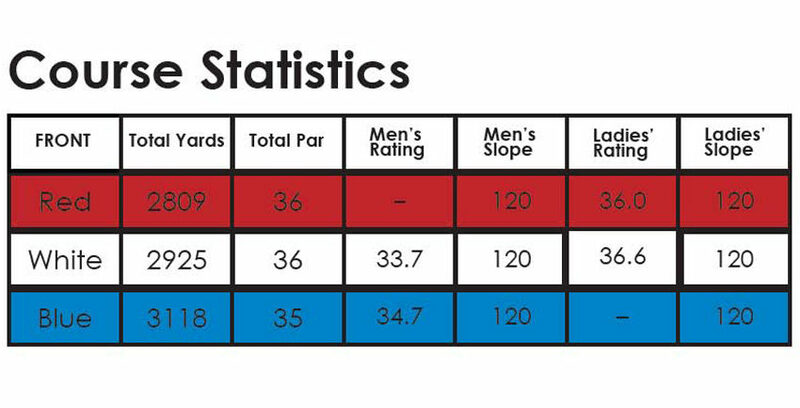 The golf course pricing listed below does not include the pass cost to enter the park. You must have either a season pass ($45.00) or a day pass ($8.00) displayed in the vehicle(s) coming into the park. There are 80 well treed spacious campsites, 30 Amp with water. 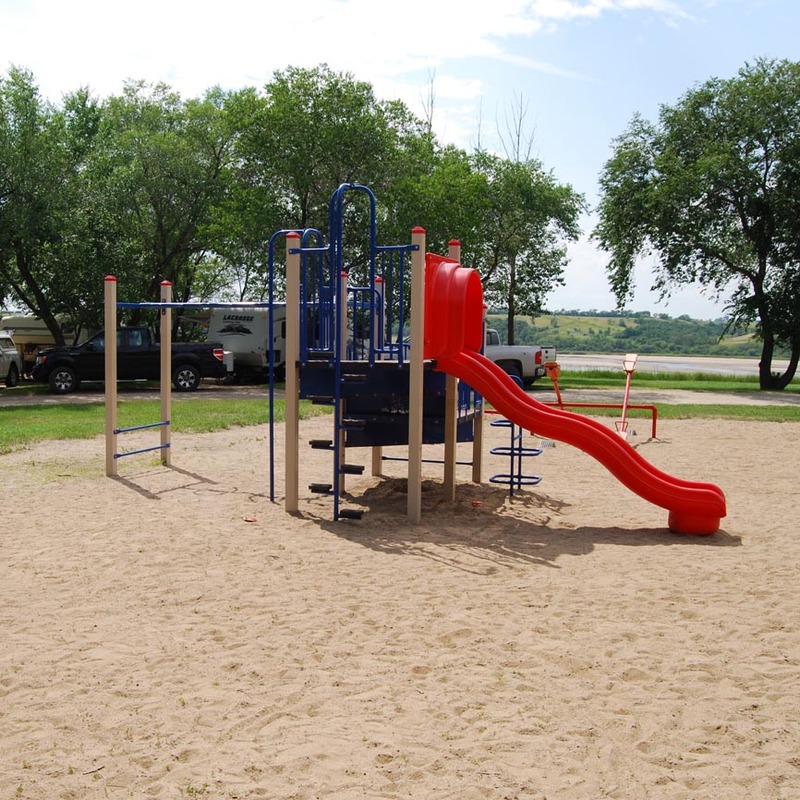 One group of 4 sites with 15 amp power has a playground at the center while there is a brand new playground with easy access by three areas of campsites. There are newly developed sites with a view of the river and another group of new sites as well. Each site has a pole barbecues and a picnic table. There are tenting sites available and 3 modern washroom facilities with showers, one is wheelchair accessible. Flush toilets are located throughout the park. A trailer sewage disposal site is beside one of the washrooms. All water in the park is provided by the town of Outlook. A large camp kitchen is available for group rentals. 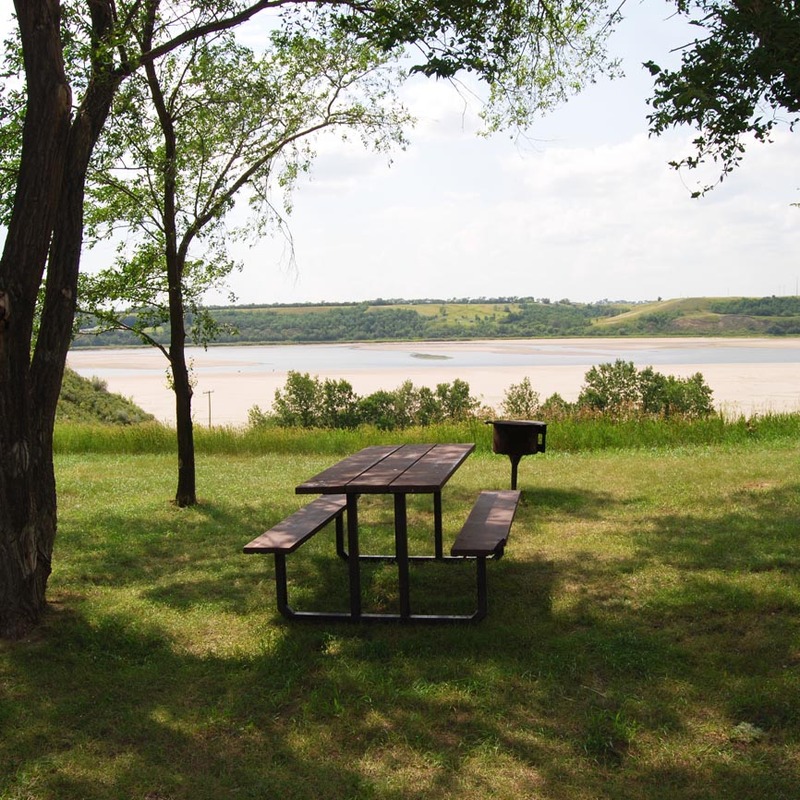 Day picnic sites are also available and have picnic tables and pole barbecues. There are 10 campsites available in a separate area for group camping. Each site is serviced with water and 30 amp power. Sites are located near a washroom facility. 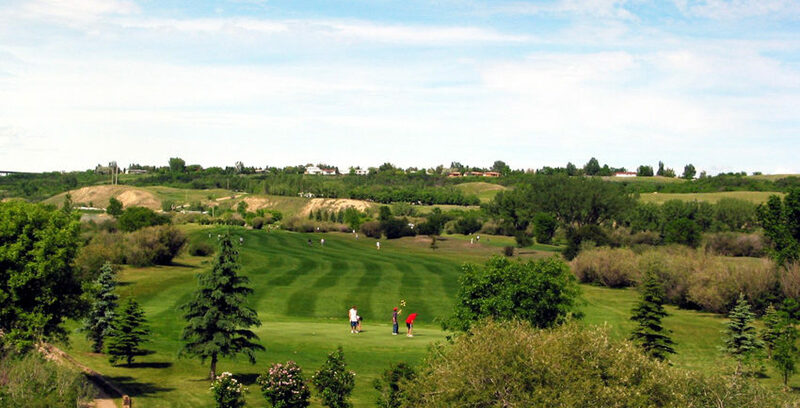 The nine hole golf course features irrigated grass greens and fairways. 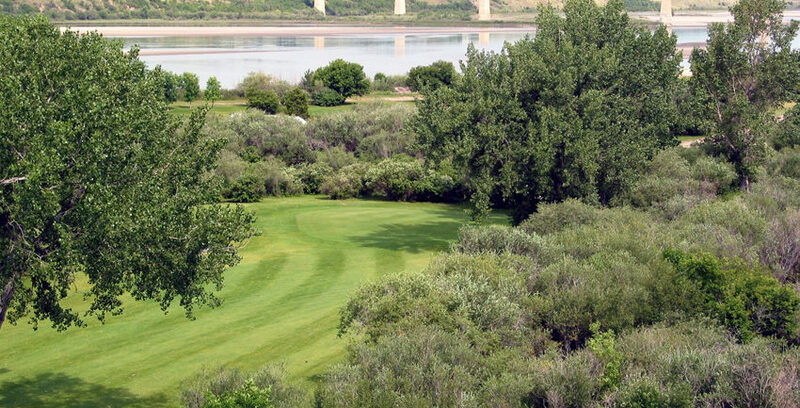 The scenic course along the riverbank is shaded by trees and provides a challenge to any level of golfer. Campers can enjoy Ladies night every Wednesday and Mens night every Thursday. The air conditioned clubhouse offers food and beverage services, power carts, club rentals, and lessons offered by the course CPGA pro. Numerous tournaments are held from May to September. Phone the clubhouse at 306-867-8266 for tee times. Check our website for details on the opening date. Please remember that you need either a season pass or a day pass to enter the park. Sites 1-26, now named “Nichol Place”, is home to the children’s playground. There is also a set of swings in the “Bowl” and teeter totters in the “Ladle” which is located behind the old swimming pool. The second playground in the park is located across the road from campsites 40-53, group and overflow camping. Canoes can be launched from an access west of the now closed swimming pool. The rivers extensive shoreline offers many opportunities to stop for a shore lunch. The river is now part of the Chief Whitecap Waterway where kayak and paddleboard enthusiast enjoy the beautiful water and scenery. Fishermen can take advantage of the numerous walleye and jackfish found in the river. Motorboats can launch a short distance away at the Broderick reservoir. 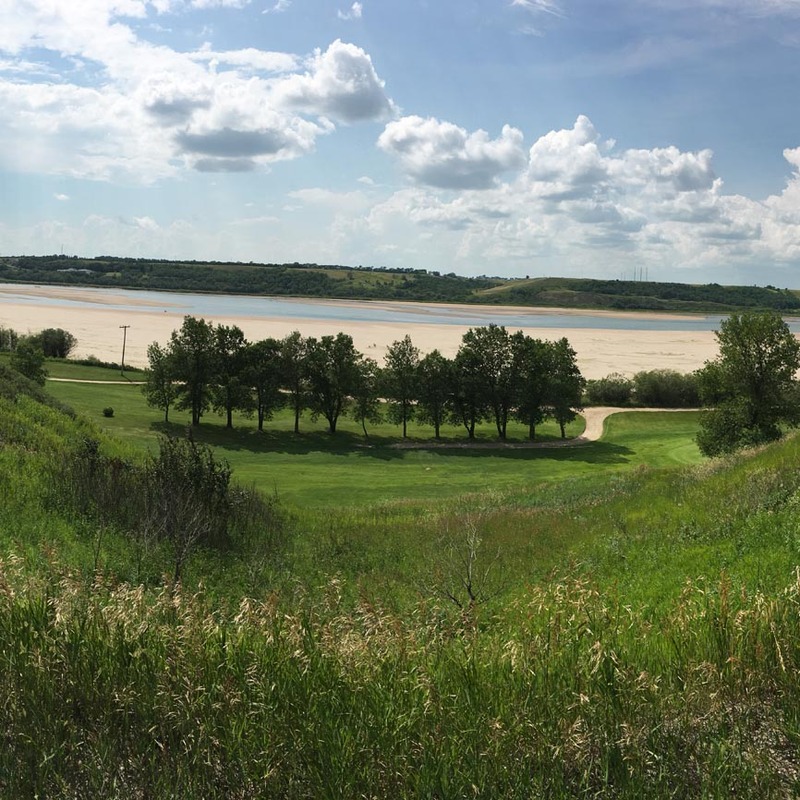 Lake Diefenbaker, 40 km away, is the largest body of freshwater in Southern Saskatchewan and was formed by the creation of the Gardiner Dam, Canada’s largest earth-filled dam. Lake Diefenbaker is home to walleye, northern pike, rainbow trout, sauger, burbot, lake trout, yellow perch and goldeye. 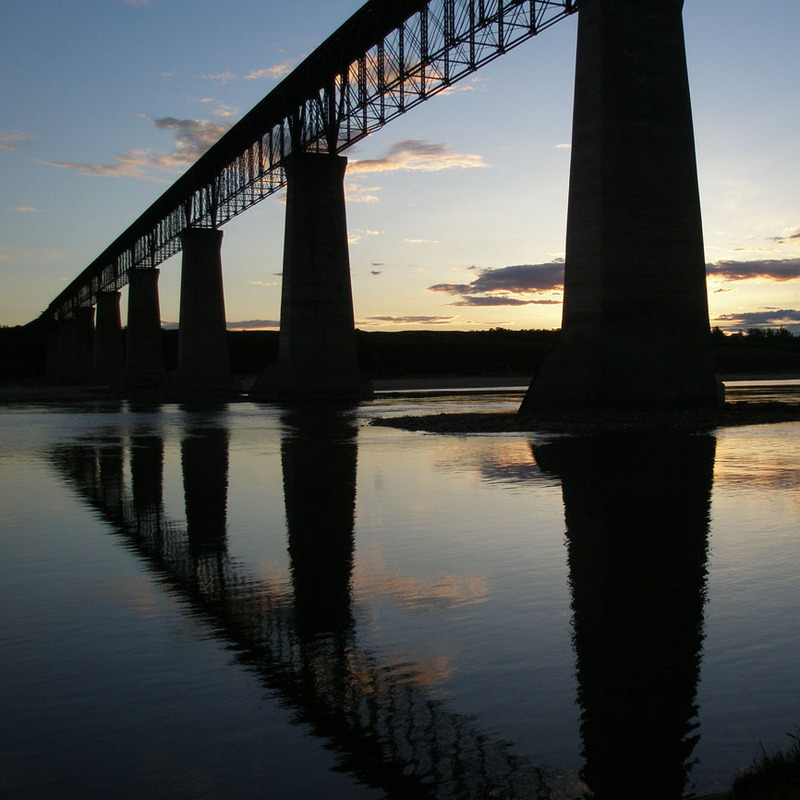 Six kms of hiking trails including the longest pedestrian bridge in Canada (Currently Closed), are part of the Trans Canada Trail. These well maintained trails allow a view of the river. Hikers and bikers are welcome to enjoy the shade of a variety of trees and to watch for signs of the many types of wildlife that make their home in the park. Numerous lookouts along the riverbank and the Trans Canada Trail in the park provide a view of thousands of cranes and geese landing at the river. The old traffic bridge has been restored into a walking bridge. Yet another vantage point to take pictures of the beautiful South Saskatchewan River. Newly Renovated shower house located in the North End of the park where the old swimming pool change rooms used to be. There are three showers in both the women’s and men’s washrooms. Only ONLINE reservations are accepted starting on January 7, 2019. One Month or more: January 7, 2019 @ 9:00am - January 14, 2019 @ 8:59am. One Week or more: January 14, 2019 @ 9:00am - January 21, 2019 @ 8:59am. One Night or more: January 21, 2019 @ 9:00am. Book your campsite by clicking below. Email reservations will NOT be accepted at anytime. Telephone reservations will begin @ 2:00pm on Friday, May 17, 2019. A non-refundable reservation fee of $10.00 plus all additional camping fees are due at the time of reservation. There are NO REFUNDS for any booking made on a LONG WEEKEND. 48 hours notice is required, plus a cancellation fee of $10.00 per site will be applied to all cancellations in addition to the non-refundable reservation fee. If insufficient notice is given for cancellation, then the first two nights will also be charged. A Change Fee of $10.00 will also apply for site changes or changes to the arrival/departure dates. Change fees are not charged when adding nights to an existing reservation. Refunds are given only to the original form of payment when the reservation was made. No refunds will be given for any booking made on a Long Weekend. No Exceptions.